How to Join a CLASS DISCUSSION. How to find ALL MY CLASSES/SUBJECTS. How to have a CHAT with Students/Teacher. How to share vocabularies, articles and Publications with students. How to know total number of students doing same subject with you. How to STUDY as your PREPARE SUMMARY NOTES. 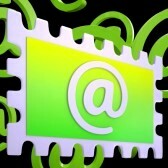 How to WRITE ARTICLES and SHARE it OUT in our SITE BLOG. How to use CALENDAR as a DIARY. Teachers- How to upload Notes for a SUBJECT. Teachers - How to set-up an ASSIGNMENT for students. 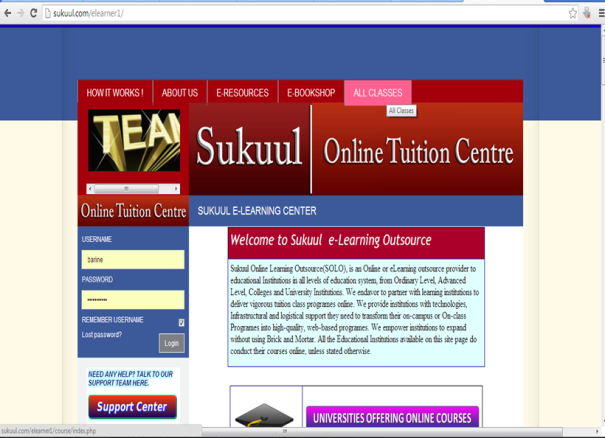 Below is the original look of the e-learning home page. As a user, you need to login from the section requiring you to input your USERNAME and PASSWORD section below. For any other support needs, you select the item on the left hand side and follow through the explanations given step by step. We do hope that you will be able to get all you solutions from this webpage, and incase you still need more info or help from us, you can send us an email from the Support center, or engage us in a chat.